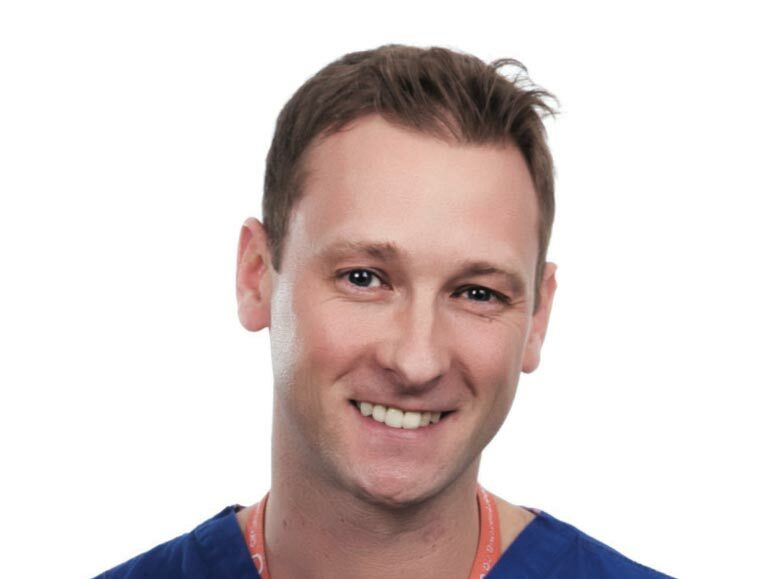 Mr Tom Pollard is a Consultant Orthopaedic Surgeon at Circle Reading Hospital. He qualified in medicine at the University of Bristol, after being awarded a BSc for research in pathology and microbiology. Following basic surgical training, which included plastic and cardiothoracic surgery, his specialist orthopaedic training was on the Oxford programme. During this time, he gained an MD for a thesis on the causes, investigation, and treatment of early osteoarthritis of the hip, and was appointed as Clinical Lecturer in Orthopaedic and Trauma surgery at the University of Oxford. Fellowship training was at the Royal Berkshire NHS Foundation Trust, Reading, where he developed his specialist skills in hip arthroscopy, and hip and knee replacement and revision surgery. He was invited to stay in the department as a locum consultant from January 2012, prior to gaining a substantive consultant appointment there in November 2012 and joining Circle Reading in December 2012. Mr Pollard's pioneering research has been recognised by winning two of the first three annual awards made by the International Society for Hip Arthroscopy and has gained him an international reputation in the cause and treatment of young adult hip conditions. He is regularly invited to lecture both nationally and internationally, and teaches on hip arthroscopy courses. Mr Pollard now offers knee replacements using the latest robotics-assisted technology at Circle Reading Hospital. The NAVIO Surgical system helps some of the country’s leading surgeons to deliver even greater accuracy during your operation, while also eliminating the need for a CT scan before surgery. Tom went to school in nearby Abingdon, and was a keen sportsman, playing cricket for Oxfordshire throughout this period. He has two children and enjoys providing the same level of support for their sporting development as he received himself. Early osteoarthritis of the hip and femoroacetabular impingement - understanding mechanisms and optimising arthroscopic surgical treatments, to prevent progression of osteoarthritis. Training young surgeons in hip arthroscopy. Hip replacement and hip resurfacing in young adults with severe arthritis. Treatment of infection in orthopaedic surgery. He continues to collaborate with the University of Oxford for research and clinical trials.